Impress your family and friends with some homemade pancakes and a homemade berry sauce this weekend! The berry sauce is easy to make and frozen berries can be obtained throughout the year. So why not? Add berries to a saucepan and bring to boil. Add sugar and jam sugar. Add lemon zest. Stir to mix well and puree with a hand blender. 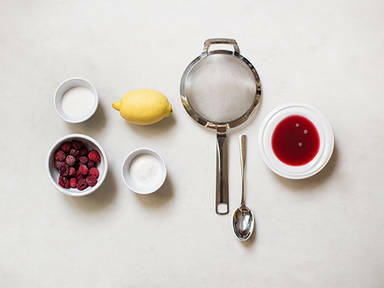 Strain the berry sauce through a sieve into a bowl. Use a spoon to strain the puree. Enjoy the berry sauce with pancakes or French toast!